and then go DO something different to make work better! We’re excited that PKF Cooper Parry are hosting the event at their amazing East Mids offices (check out the image at the end!) and we’d love to see you there. Click here if you already know you want to book. And read on if you’d like to know more…..
P.S. Please make sure you check out the great boat metaphor for self care at the end! I have a little self-care graphic that I keep visible by my desk. It’s a simple hand-drawn graphic that serves as a reminder on those busy days of the things that keep me healthy. It prompts a bit of structure around my self-care and reminds me to keep it high on my agenda. And as you’d expect, the more I engage with activities that nourish my soul, the more rewards I reap. Not only in that short-term joyous time of connection with whatever it is I’m doing but for the long-term too as I continually reinforce those behaviours. Reminding my brain and body what it feels like to be nourished with those feel-good vibes on a regular basis. Because hands up! I haven’t always been great at self-care. I know that self-care can be difficult. And so if, by any chance, I can enable your journey to greater self-care to be a little less time-consuming than my own then I’m happy to share my ideas. So what makes self-care so difficult in the first place? We live in a forever changing world, where we’re moving at a pace we, perhaps as humans, have never moved at before, constantly driving forward to keep up, take new stuff in and change. Our minds are constantly stimulated. Our mental health continually pushed to its limit whilst we strive to live our lives to their fullest. And with that we are continually challenged to keep everything in check (work and life) AND to deal with whatever has cropped up. 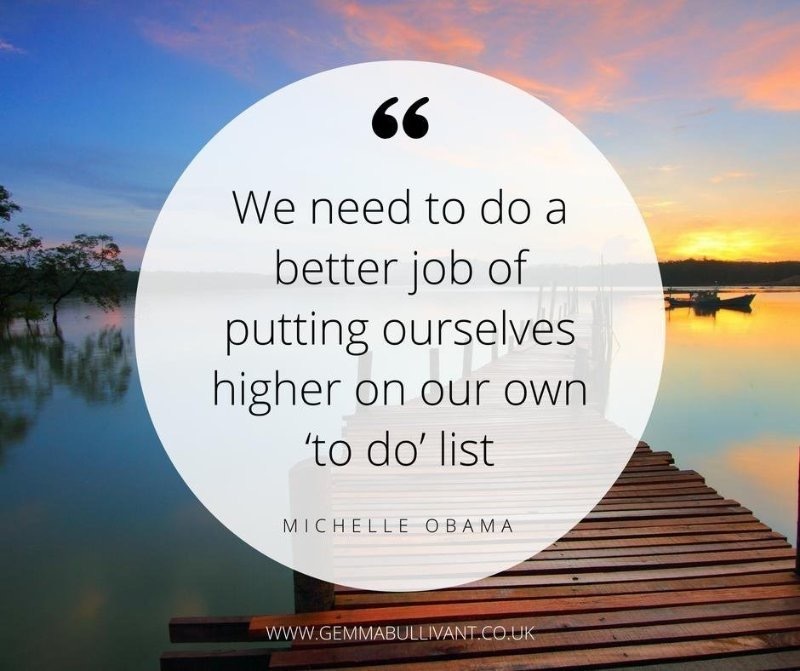 So its no wonder when we live in the world we do that life or work can sometimes ‘get in the way’ and can knock your self-care routine off-balance. There is ALWAYS going to be something that will get in the way. The experience of life is not one that is always in balance as much as we’d like it to be. And these days we perhaps find that it’s unusual to get a ‘steady’ moment in work or in life… That is, unless we create one ourselves! And so to create one we will…. On Thursday 16th March, I’ll be facilitating a session on self-care at the quarterly LearnConnectDo gathering. Learn > Connect > Do was founded by Helen Amery who is passionate about making work better. So if you care about making work better too by being better connected to your own self-care and if you have ‘people’ as the core focus of your work : HR, L&D, OD, coaching, leadership and management, then we’d love to have you along. PKF Cooper Parry Offices, East Mids – this is where we’ll be on the 15th! I’ve always strived to achieve. To achieve with the hope of being ‘good enough’ for the parental figures in my life – be they at home or work. Having always found good grades fairly easy to come by at school I expected the trend to continue in work, sometimes sorely disappointed by the different type of race being run there with politics and relationships suddenly part of the game – not just working hard to deliver ‘the work’. And some Type A is good, it gets stuff done, it pushes boundaries, it challenges beyond what we first thought possible. But, as with most things, too much and it becomes a weakness. It’s downsides begin to outweight the up. Some of this was because their Type A matched mine – deliver more, more, more, with less, less, less. And this behaviour was underpinned by an unkindness, a lack of care, a lack of empathy. I was so fixed on (supposedly) doing the right thing for the business, so aligned with these focussed, driven leaders – who were meant to be the role models to follow – that it didn’t occur to me that anything else was an option. I thought it made me a “commercial” HR person – what all the books said you’re meant to be. I did change my attitude and approach to my role in HR in later years, seeing the importance of holding that space of challenge and providing balance to the Type A leadership style, reminding leaders of the human beings involved – my kids played a big part in that development for me. And my attitude and approach have definitely changed again since leaving corporate life. But the biggest shifts have come through working with my own coach, that this unkindness I showed towards others started from an unkindness towards myself. That I believed I was only good enough, only deserved praise / attention / love if I was tough and resilient, if I showed I could deliver the results – be they A grades in exams or improved sales and profit, only good enough if I worked hard. These messages we get as kids, they reverberate through the years. And so although I know I’ve come a long way in my journey from that version of me back there, I also know there is still more to do to keep myself grounded in believing I’m good enough as I am. From that self care comes a genuine care for others and the ability to make the right choices for the human beings in this world around me, more than the business results and hours worked. With levels of mental health concerns rising things aren’t going to improve unless we start here.